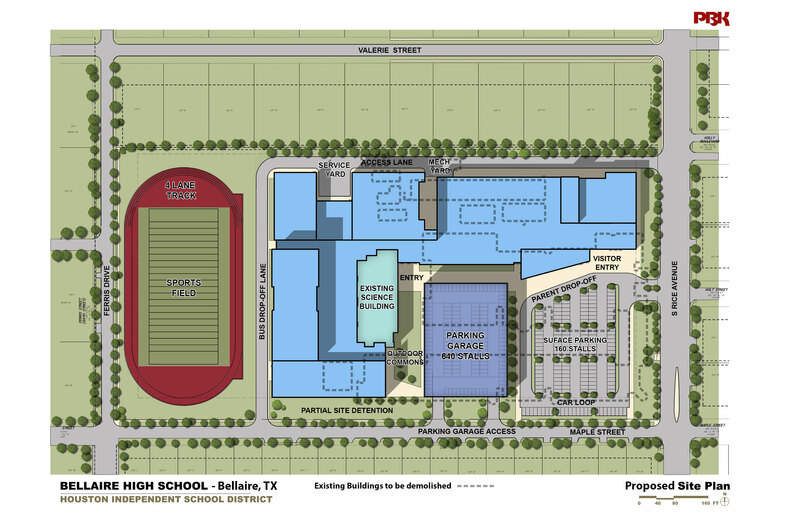 The Bellaire City Council has approved an updated site plan and traffic study for the new Bellaire High School and granted a permit for the property, meaning construction on the facility could begin as early as next summer. The approval of the specific-use permit by the city effectively clears the last hurdle in the design process for the new high school, being rebuilt under HISD’s voter-approved 2012 Bond Program. This entry was posted in 2012 bond, 21st century schools, District V - Sue Deigaard, High Schools, New schools, News and tagged 2012 bond, Bellaire High School, Bellaire HS, BuildHISD on October 5, 2017 by HISD Communications. Hundreds of debate teams from around the world entered the 2015–16 International Public Policy Forum (IPPF) competition, but only 16 remain — including HISD’s Bellaire High School. If Bellaire advances in the next round, the team will win an all-expenses-paid trip to the IPPF Finals in New York City on April 2. Sponsored by the Brewer Foundation and New York University, the IPPF is the first and only competition that gives high school students from around the world the opportunity to engage in written and oral debates on issues of public policy. By advancing, the students remain eligible to win a $10,000 grand prize. The Bellaire High School team is one of only two teams from Texas to advance this round. This entry was posted in Achievement/Recognition, District V - Sue Deigaard, News and tagged Bellaire HS, debate, IPPF on February 5, 2016 by HISD Communications. Coach Granvil “Wayne” Tedder has been guiding HISD athletes to greatness for more than 30 years, but on Jan. 22, district officials and students took time out to honor him, with a special ceremony held at Bellaire High School to induct him into the HISD and Houston Coaches Association Hall of Honor. This entry was posted in Achievement/Recognition, Athletics, District V - Sue Deigaard, News and tagged baseball, Bellaire HS, Coach Wayne Tedder, Hall of Honor on January 25, 2016 by HISD Communications. 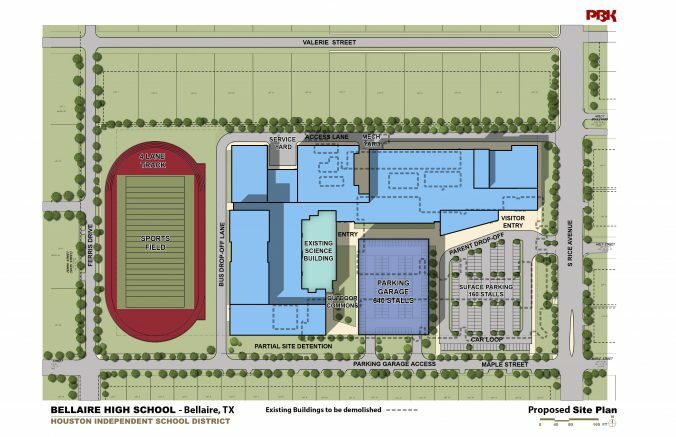 The Bellaire High School project will now be moving forward, thanks to the Board of Education’s decision to approve the supplemental funding proposal. The goal is to resume Project Advisory Team meetings in the new year to continue schematic design of the project. Another community meeting would be held to discuss design progress in mid- to late 2016. Construction is expected to start in 2017. The work will take at least 31 months, but could last longer depending on how the construction is phased. This entry was posted in 2012 bond, District V - Sue Deigaard and tagged Bellaire HS, BuildHISD on January 5, 2016 by HISD Communications. Students at two HISD schools are helping to monitor the health of the planet, and it’s all thanks to one passionate teacher. For the past 17 years, Ann Linsley has been taking her Bellaire High School IB and AP geography and environmental science students on field trips to Utah, Wyoming, Idaho, and Montana. Six years ago, she added a group of Pin Oak Middle School students, and this year Pin Oak Principal Rita Graves accompanied them as well. This entry was posted in District V - Sue Deigaard, Science, STEM and tagged Bellaire HS, Pin Oak MS, Yellowstone National Park on November 10, 2015 by HISD Communications. This entry was posted in District V - Sue Deigaard, Fine arts, High Schools and tagged Bellaire Concert Chorale, Bellaire HS, The Rose Emsemble on October 30, 2015 by HISD Communications.